The Railways has made another great step forward. It is already known that Twitter, Facebook, Helpline provides services to customers. Customers are now coming up with similar mobile app services. 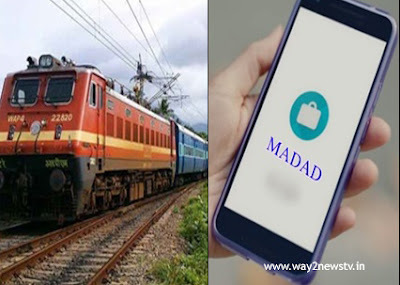 This app is being developed in the name of 'Madad' and will be available in the month of April. This app can make complaints about many factors, such as food quality, toilet cleaning etc. You can also request for emergency services. All these complaints have been created by the app to reach the relevant authorities directly. This will make quick solutions to customer issues. Customers can see the details of the complaint, as well as the details of which users are taking. Officials said all the complaints of various complaints related to the railway will be included in the new app.